I just recently added The Daily Fitness Center to my Chrome tool bar and love it. I started reading some reviews prior to installing it and I saw people saying it was junk and it didn’t work. So, is Daily Fitness Center an Awesome Fitness tool, hell yes it is. The reviews made me a bit skeptical, but I couldn’t fathom why it wouldn’t work. I double-checked that it was added to my Chrome browser and wouldn’t you know, those reviews were wrong. I unlocked a secret resource of health and fitness! 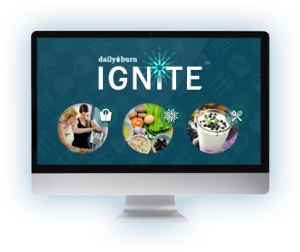 The Daily Fitness Center gives you access to The Daily Burn blog too! It has it ALL! It has a variety of fitness workouts. I love that! I’m always searching for new workouts. I usually find great new ones on Pinterest, but I’m excited to try out these different workouts as well. They have a lot of HIIT (High-Intensity Interval Training) programs, specifically a MettCon training. MettCon, aka metabolic training, is supposed to help improve the delivery of nutrients to the body with set rests and work ratios. Sounds good to me. The workout they suggest is only twenty minutes! Score. I can totally add this in on days that I don’t run as much. There are also recipes up on there. They have a variety of healthy, gluten free, and vegan recipes. There are also some fall recipes up there which is awesome right now. I am definitely going to try the Pumpkin Pie smoothie. There is also a delish fall cleanse kale salad recipe with squash, beets, and pumpkin seeds. Yum! What’s best is it has serving sizes and calorie info on all the recipes! We love that kind of stuff! The Daily Burn also has a tech page! They have reviewed a ton of gadgets and apps, all fitness and food related. There is a blog about the best Yogi apps; awesome! I didn’t know any of these Yogi apps and I’m totally going to check some of these bad boys out. After reading the review of the Apple watch, it totally makes me want to get one! 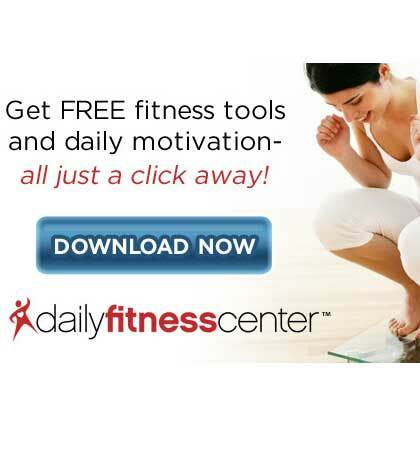 There are so many parts of this Daily Fitness Center toolbar that I haven’t even explored. There is a BMI calculator and you can find nutritional facts right there on the toolbar! Super cool and fun. I’m really excited to explore even more. And The Daily Burn is super easy to use. Follow my link and you can download The Daily Fitness onto your Chrome! Next PostNext MyFitnessPal is a great healthy companion!